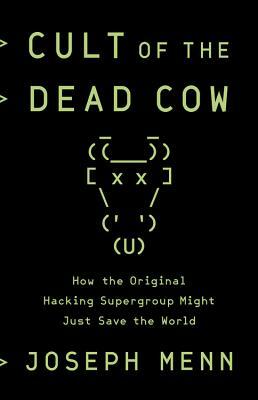 Cult of the Dead Cow is the tale of the oldest, most respected, and most famous American hacking group of all time. Though until now it has remained mostly anonymous, its members invented the concept of hacktivism, released the top tool for testing password security, and created what was for years the best technique for controlling computers from afar, forcing giant companies to work harder to protect customers. They contributed to the development of Tor, the most important privacy tool on the net, and helped build cyberweapons that advanced US security without injuring anyone. With its origins in the earliest days of the Internet, the cDc is full of oddball characters -- activists, artists, even future politicians. Many of these hackers have become top executives and advisors walking the corridors of power in Washington and Silicon Valley. The most famous is former Texas Congressman and current presidential candidate Beto O'Rourke, whose time in the cDc set him up to found a tech business, launch an alternative publication in El Paso, and make long-shot bets on unconventional campaigns. An investigative reporter for Reuters, Joseph Menn is the longest serving and most respected mainstream journalist on cyber security. He has won three Best in Business awards from the Society of American Business Editors & Writers and been a finalist for three Gerald Loeb Awards. His Fatal System Error: The Hunt for the New Crime Lords who are Bringing Down the Internet exposed the Russian government's collaboration with organized criminal hackers and was named one of the 10 best nonfiction books of 2010 by Hudson Booksellers. He also wrote the definitive All the Rave: The Rise and Fall of Shawn Fanning's Napster, an Investigative Reports & Editors Inc. finalist for book of the year. He previously worked for The Financial Times, Los Angeles Times and Bloomberg and has spoken at conferences including Def Con, Black Hat and RSA. He grew up near Boston and lives in San Francisco.